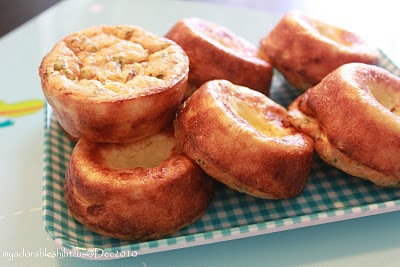 One of our favourite homemade treat - Toad in the hole. Mummy made this for us as New Year Treats! 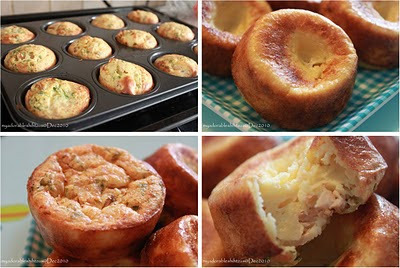 The muffin was made of lactose free milk, saltless tuna, flour, olive oil and eggs!